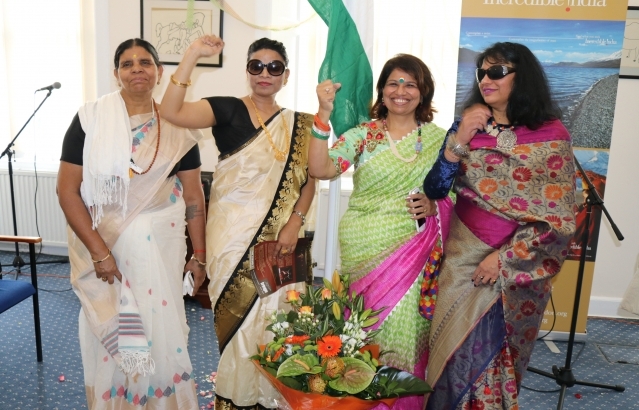 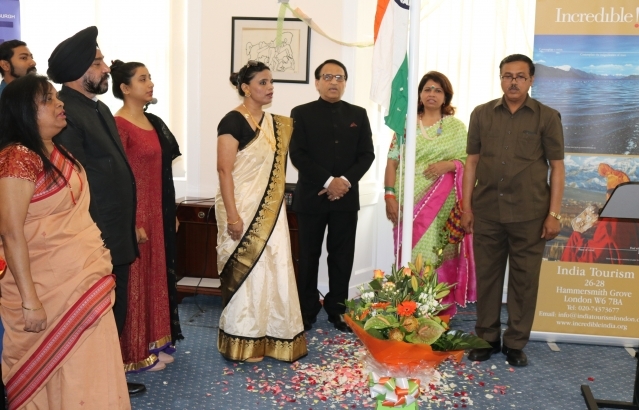 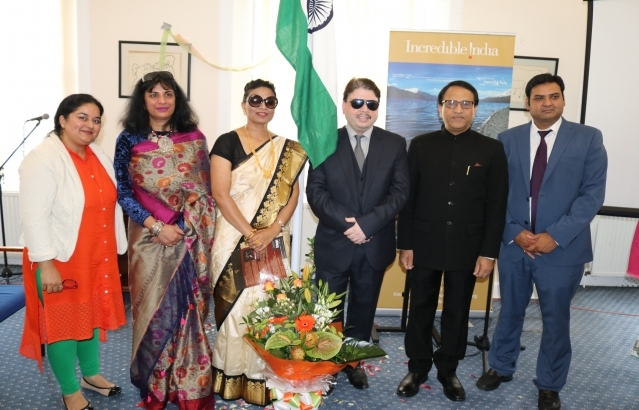 Mrs. Anju Ranjan, The Consul General unfurled the tricolour, National Anthem was sung. 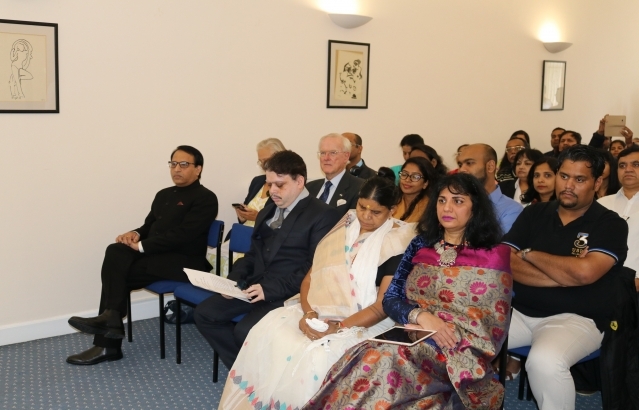 Thereafter President's message was read out by the Consul General. 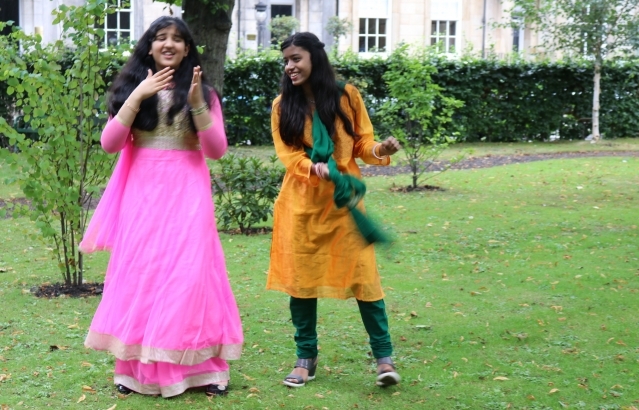 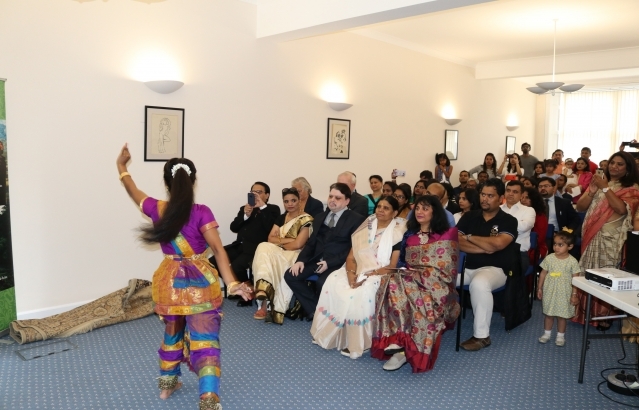 A cultural performance was done by the Consulate children. 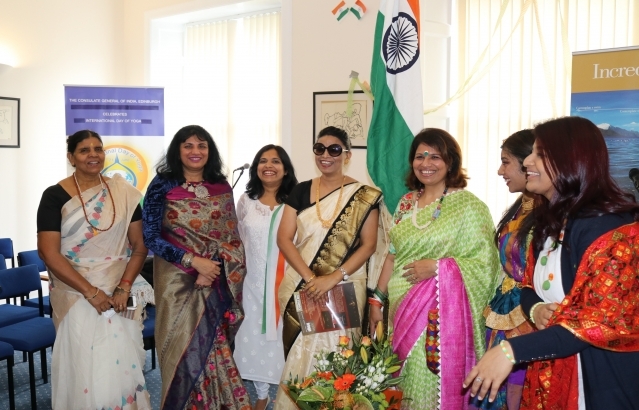 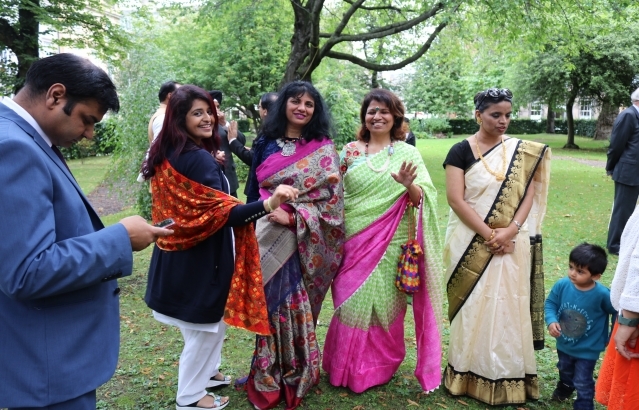 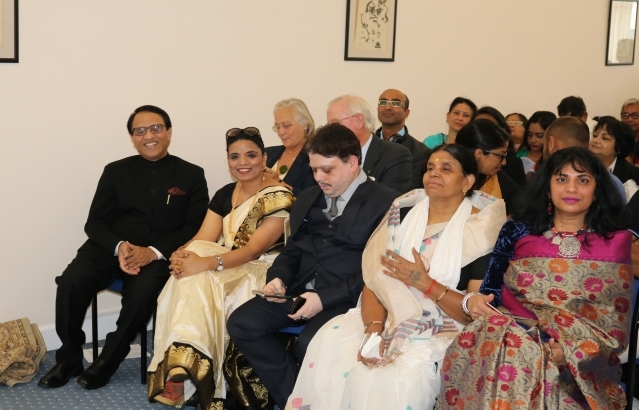 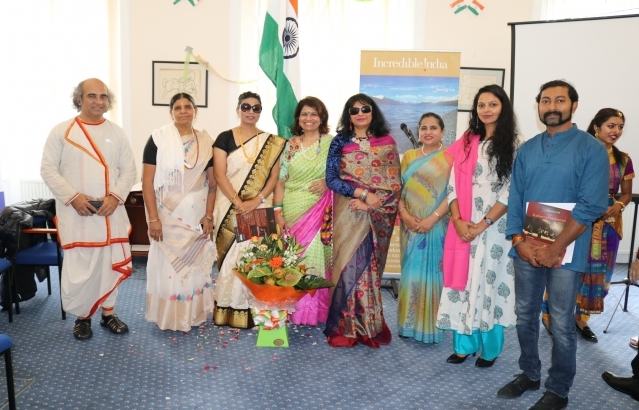 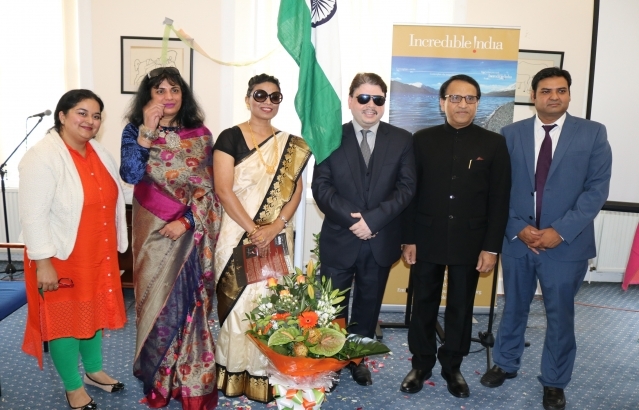 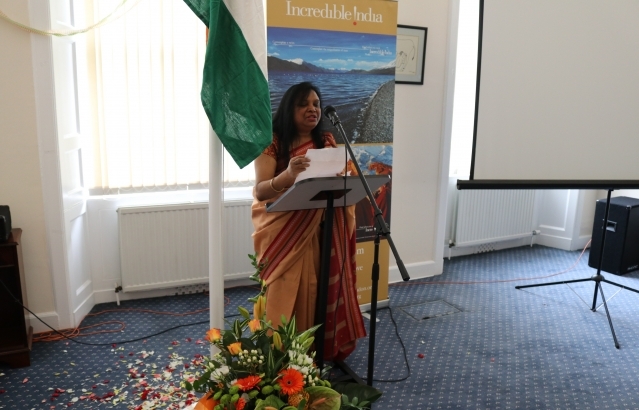 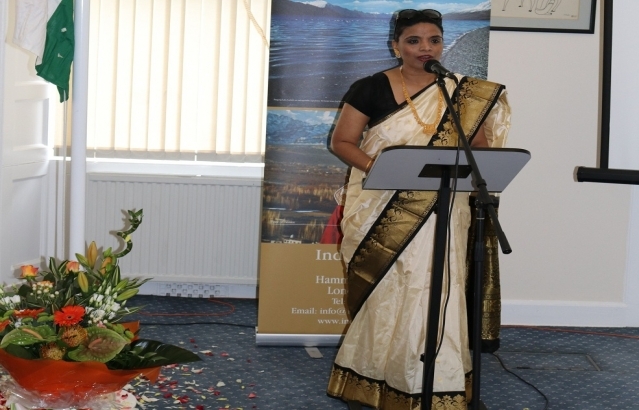 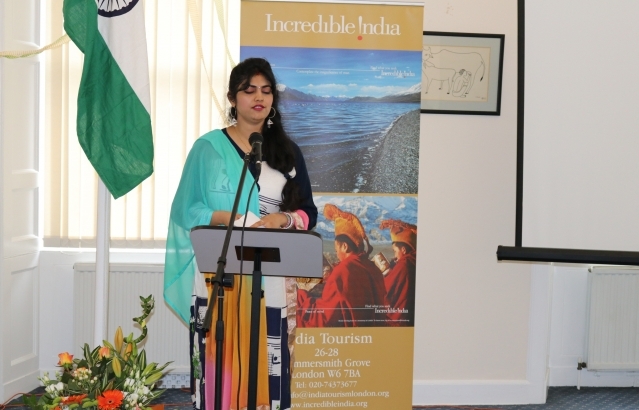 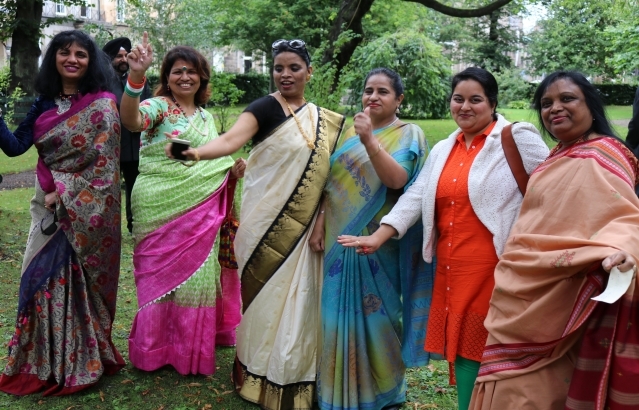 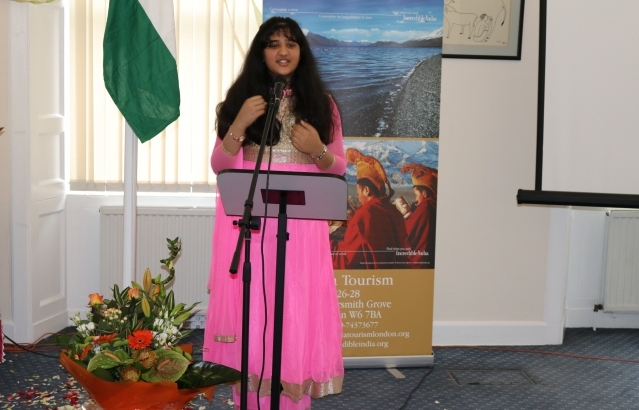 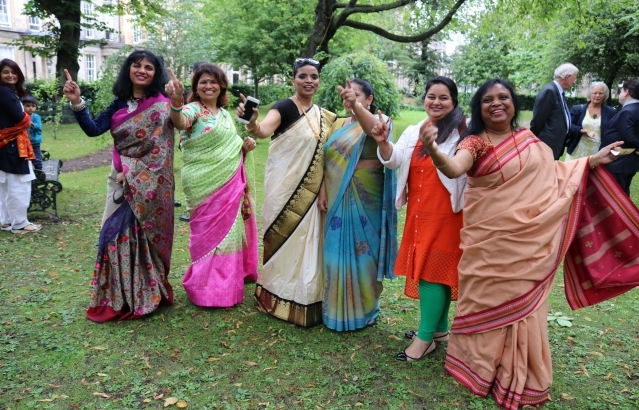 Many patriotic songs and Poem were rendered by the Consulate officials and Indian community. 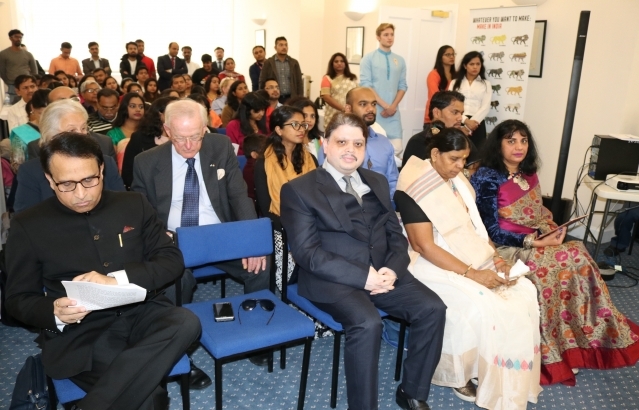 The Awaz FM interviewed the Consul General on the following live questions. 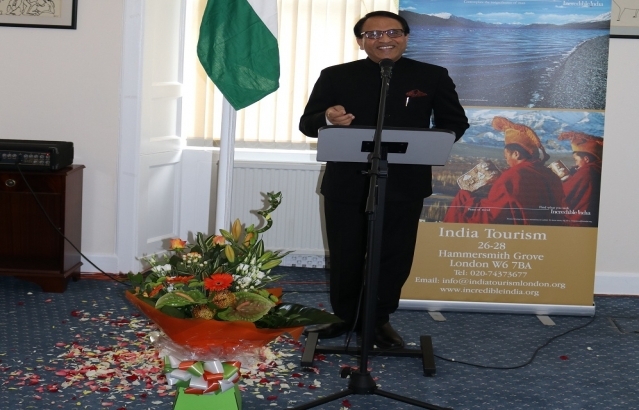 a)	Your message to Indian Diaspora ? 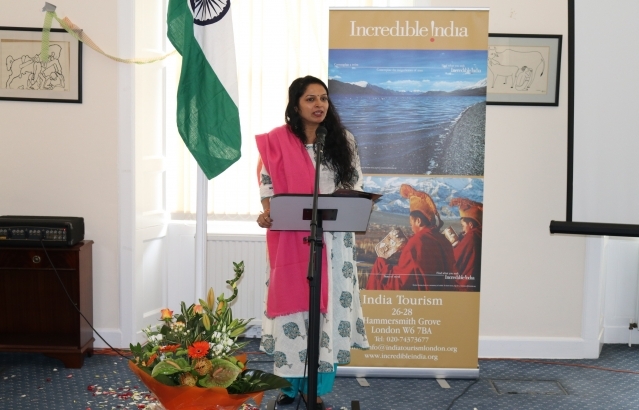 b)	What do you think, India will be considered a first would Country ? 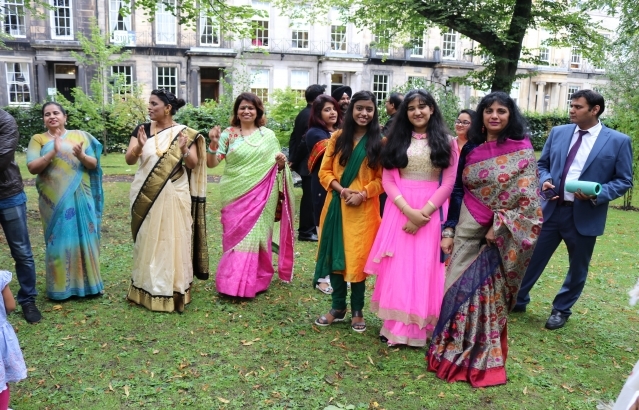 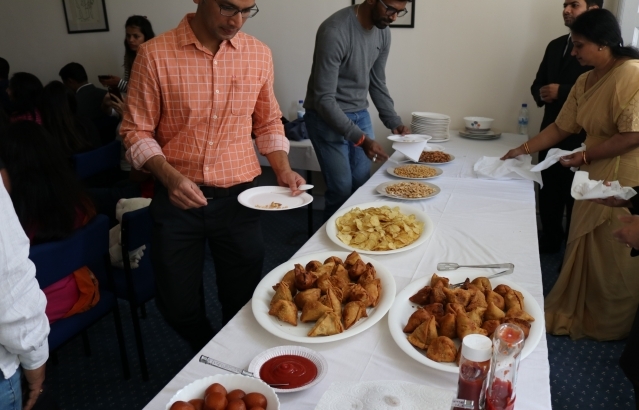 Light Indian refreshments were served at the end of the programme. 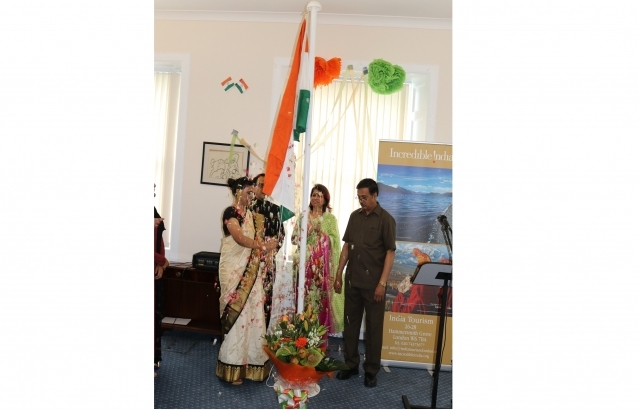 About 100 people participated in the Flag hosting ceremony.